The Beolab 150 was a new type of product for B&O. It was the first amplifier that had been offered which was used to boost the power of an existing, smaller, amplifier. The need was clear, in the mid to late 1980s, bigger was certainly better and yet B&O’s top line amplifiers were getting less and less powerful, the 150W Beomaster 8000 disappeared first, then the 75W Beomaster 6000. Without the Beolab 150, launched the year after the Beomaster 6000 was withdrawn, the most powerful amplifier in the range would have been the Beomaster 5500, rated at 55W. Text copyright © Beocentral. Unauthorised reproduction prohibited. The Beolab 150 was of course the amplifier from the Beolab Penta amplified loudspeaker. To turn it into a product that could be sold separately all that was necessary was to blank off the top and fit a more suitable base to the bottom, along with output connectors for the loudspeaker. The latter requirement was met by providing both a DIN socket and binding posts, giving the user a choice in the style of cables that could be used. The top cover was of a simple design, and included a large “Bang & Olufsen” badge and a clip inside to hold the redundant connection to the display panel in the Penta loudspeaker. Text copyright © Beocentral. Unauthorised reproduction prohibited. There were three possible input connections: line level via an RCA socket (this matched well with the “pre-amp out” RCA connectors on the Beomaster 5000), loudspeaker level-in in the form of two spring clips and “Speaker link”, another loudspeaker level input which was made via a DIN loudspeaker socket with two extra round pins. The two extra pins were redundant in this case as they carried the data for the Penta loudspeaker’s display panel, though screened “Speaker link” cables were still and excellent way of connecting the units to the Beomaster 5500 or Beocenter 9000. Text copyright © Beocentral. Unauthorised reproduction prohibited. The same controls were fitted, on pop-out panels on the front face, as were seen on the Penta loudspeaker. An attenuator switch altered the gain, which could be set to 0, -3 or -6 dB, while a bass boost function could be set to provide +3 or +6dB lift or flat response. The latter of course had its operating frequency set to match the Penta loudspeaker, and was not necessarily appropriate for use with other loudspeaker systems. Text copyright © Beocentral. Unauthorised reproduction prohibited. The power amplifier itself represented a break from normal B&O practice. The output transistors, sourced from Toshiba, were arranged in two parallel groups of 3, as opposed to the series layout that had been seen in the Beomaster 4400, 6000 and 8000. Because the amplifiers were designed to work automatically (they switched between “standby” and “on” depending on the presence of a signal) and could be concealed, there was no point fitting them with a “clipping” indicator to indicate overload. Instead, “dynamic soft clipping” was included, which was a filter circuit that engaged automatically to limit and distortion that occurred. Elaborate protection systems were also fitted, the powerful circuitry was easily capable of destroying in an instant any loudspeaker if something went wrong, but the protection system meant that in the event all that happened was that the sound ceased and the indicator lamp changed back from green to red. Text copyright © Beocentral. Unauthorised reproduction prohibited. The Beolab 150 was then an excellent product, but proved unpopular. The trouble was that because it was expensive it was seldom bought with the cheaper Beomaster and Beocenter models that it benefited from it the most, but also did not make a really worthwhile difference with the more expensive ones. It was also only really a sensible buy for use with one loudspeaker, the Beovox RL 140, as the Beovox Penta (the other high power loudspeaker in the range at the time) was more sensibly bought in Beolab Penta form if the full output was required. An ideal Beolab 150 system would have been the Beomaster 3000, Beolab 150 and Beovox RL 140, but this was seldom, if ever, ordered. 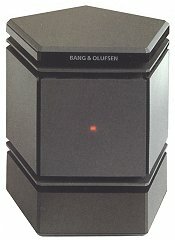 The Beolab 150 was replaced by the Beolab 200. Text copyright © Beocentral. Unauthorised reproduction prohibited.